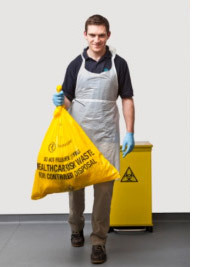 Because healthcare risk waste may have a range of hazardous properties, it is subject to the strict handling and disposal requirements as set out in the guidelines above. If you generate this type of waste you must comply with these requirements, to properly manage it from production through to disposal. Improper management of this waste could have a negative impact of human health and the environment.